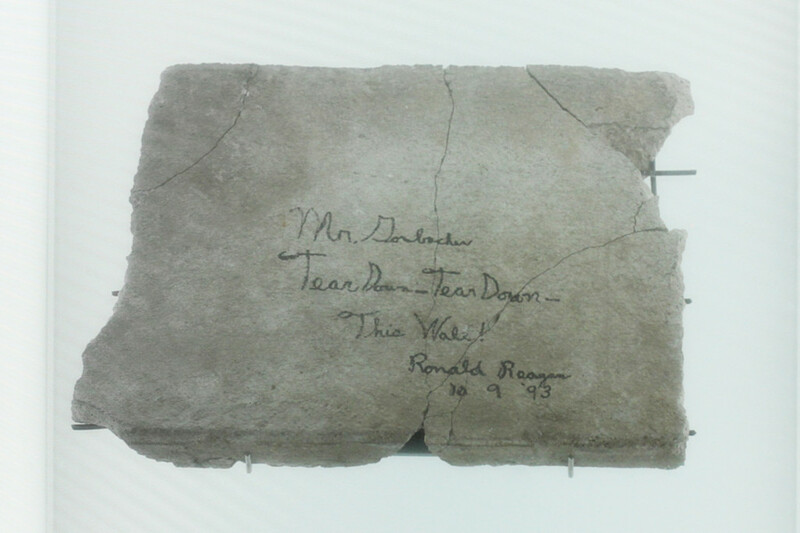 A piece of the Berlin Wall signed by Ronald Reagan is on display on the third floor of Dussmann das Kulturkaufhaus on Friedrichstraße in Berlin. 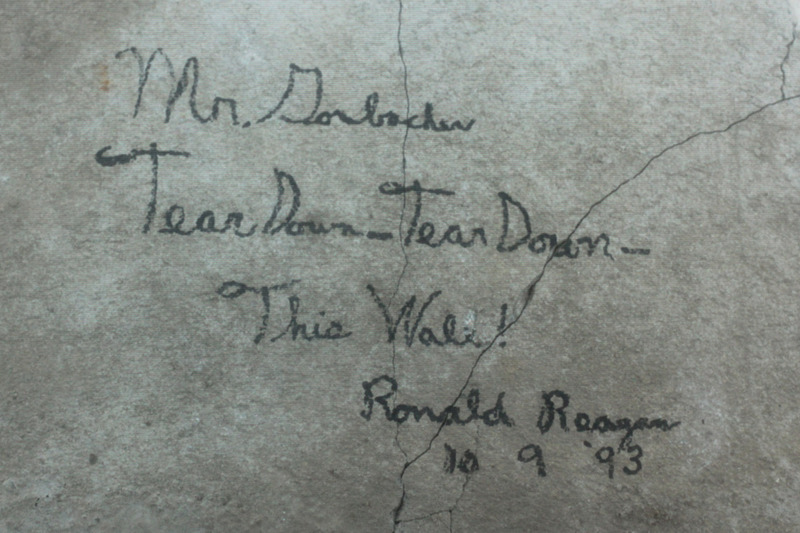 As well as adding his signature to the piece of wall, Reagan, the former US President, wrote a quote from his famous ‘tear down this wall’ Berlin speech. 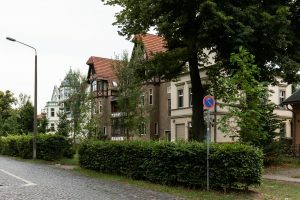 Die Grenze (The Border) – a selection of photographs of the former border between East and West Germany. Galerie (Gallery) – a collection of videos: Reagan’s speech; the Lichtgrenze and the 25th anniversary celebrations; the fall of the wall. 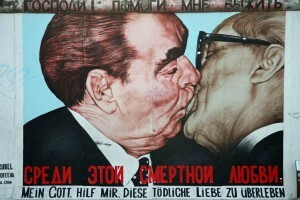 Die Mauer (The Wall) – the Berlin Wall in facts and figures. In Gedenken (In Memory) – the names of the Berlin Wall’s official victims with dates of death. 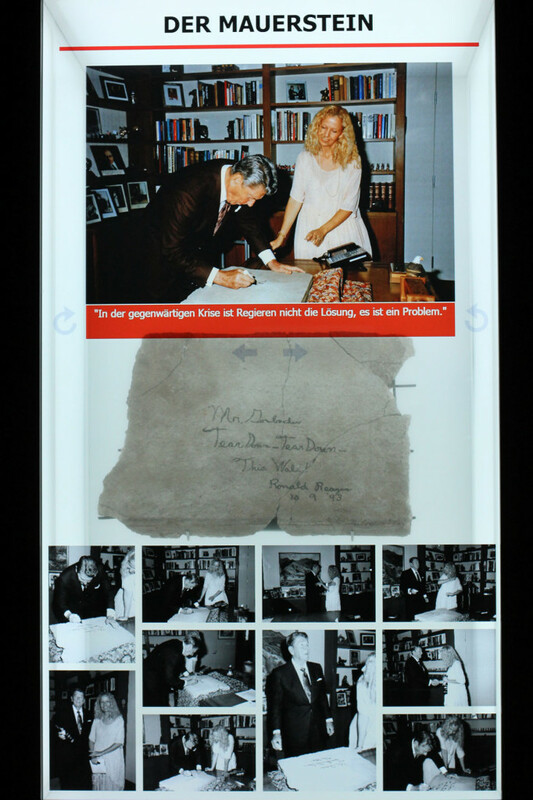 Der Mauerstein – a series of photographs showing Ronald Reagan writing on and signing the piece of wall in the presence of Catherine von Fürstenberg-Dussmann, Chairman of the Dussmann Group. This is my treasure. For me it’s as valuable as all the diamonds on Earth. There is no indication of how it was that the American born, von Fürstenberg-Dussmann, a former model and actress, acquired the piece of wall or persuaded Ronald Reagan to sign it. 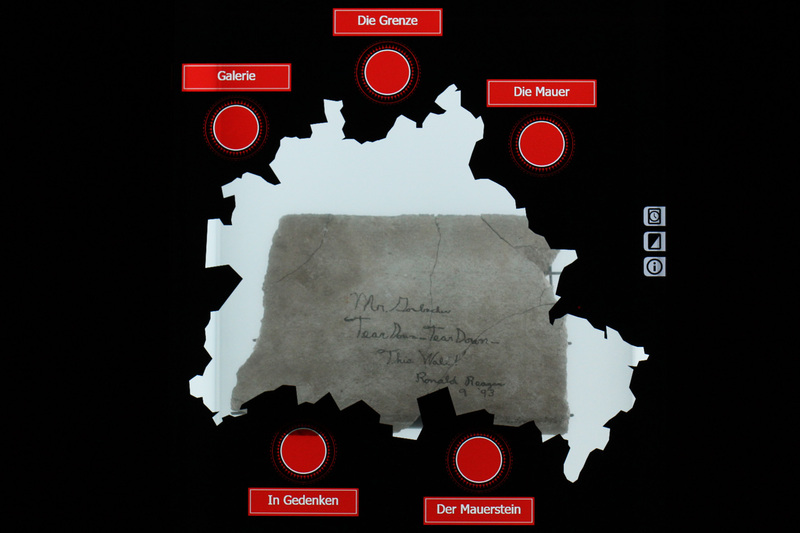 The new interactive display, created by Asignum, was unveiled in August 2015. 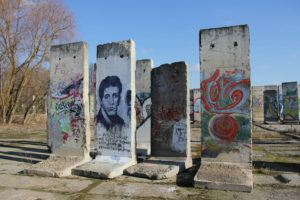 Further interactive displays have recently been added, giving access to more facts about the Berlin wall, a guide to some relevant locations in Berlin and a gallery of the street art on the East Side Gallery. 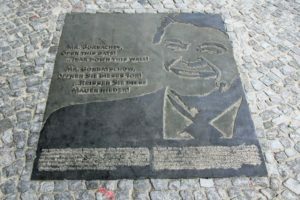 There are other references to Reagan’s speech imploring Mikhail Gorbachev to end the Cold War in Berlin, including the memorials near the Brandenburg Gate and at Axel-Springer-Straße 65. If you’d like to see the piece of the Berlin wall signed by Ronald Reagan at the Dussmann das Kulturkaufhaus on Friedrichstraße in Berlin head up to the third floor and you’ll find it between the History/Politics and Computers/Law/Economics sections.